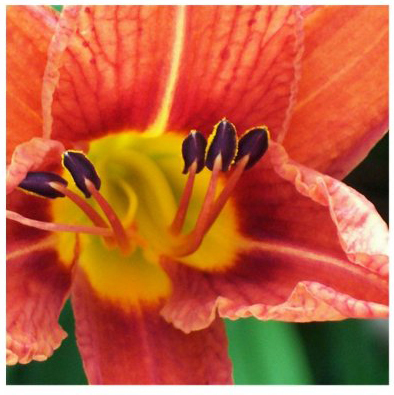 I have republished a calendar featuring photos from my Aunt Teri’s gorgeous garden in Winchester, Va (the photo above was her favorite). Teri passed away earlier this year. Proceeds from the sale of the calendars will go to the American Cancer Society’s lung cancer research fund. You can preview the calendar here (photos are from the 2010 edition). Order the calendar online from Creative Memories (free login required). These calendars are 30% off during the month of October. 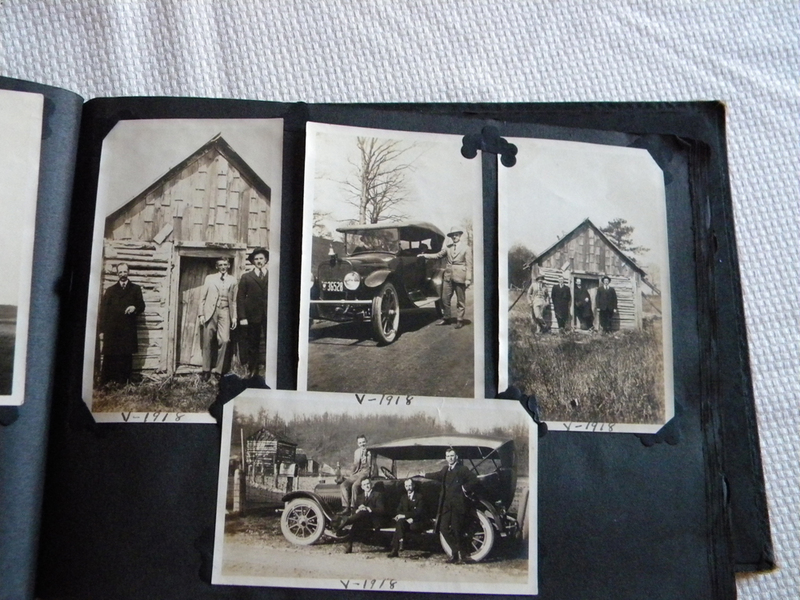 I’ve been spending a lot of time on the Album Rescue Project, in which I’m removing someone else’s old photos from a 1920s-era paper album and putting them into a new, acid-free album. This past weekend, I undertook a similar project using some of my own photos from a much more recent, but just as damaging environment. 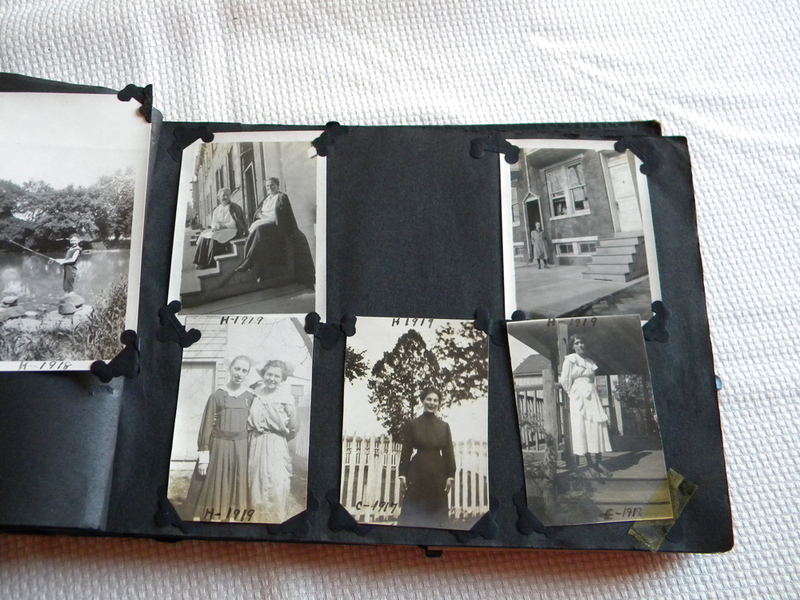 About seven years ago, before I really got into scrapbooking and learned about photo-safe materials, I decided to compile photos from my younger years that were in various sources into one album. I simply went to Michael’s and purchased a standard photo album with magnetic pages. Exhibit A: Page 1. 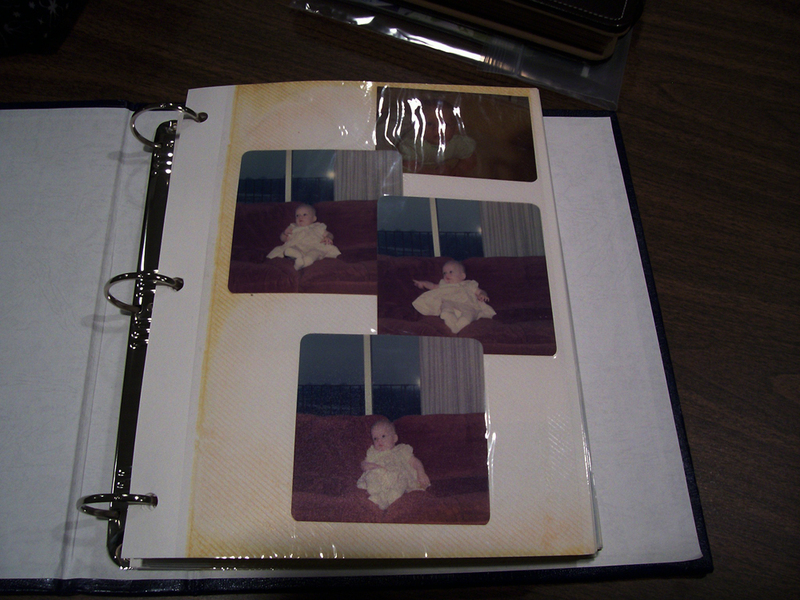 After only a few years, the adhesive on these pages is yellowing and that damage is creeping towards the photos. 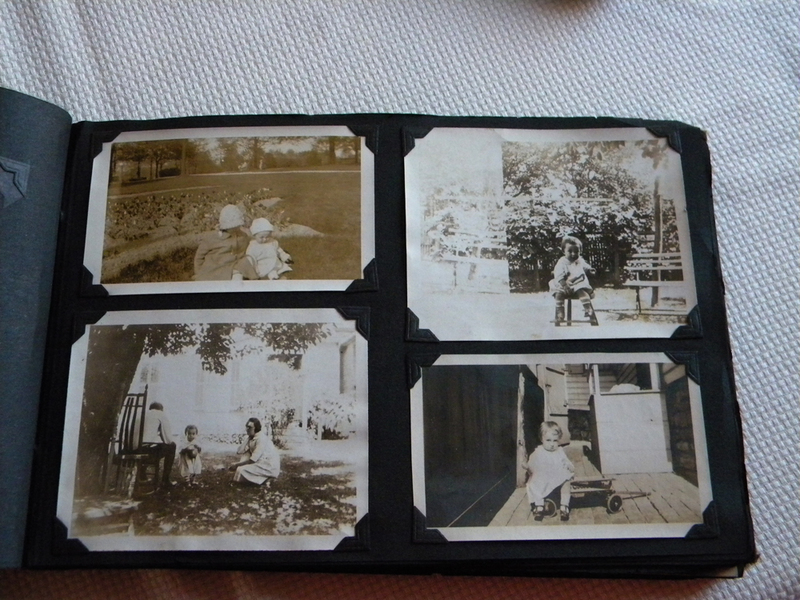 These days I know better, of course, but I only recently had the chance to dismantle that album and rescue the photos. I was shocked to see how much the pages in the album had been altered in only a few years. Notice the yellowing around the edges? That yellowing doesn’t just stay on the page — it can affect your photos too. Imagine how bad magnetic albums are that have been sitting around for 20 or 30 years. The damage is quite pervasive -- every page is affected. Magnetic albums aren’t magnetic at all. The pages have adhesive on them. The adhesive is acidic (aka very bad for photos). It also makes the photos very difficult to remove in many cases, which can cause curling or tearing if you do succeed in removing them. 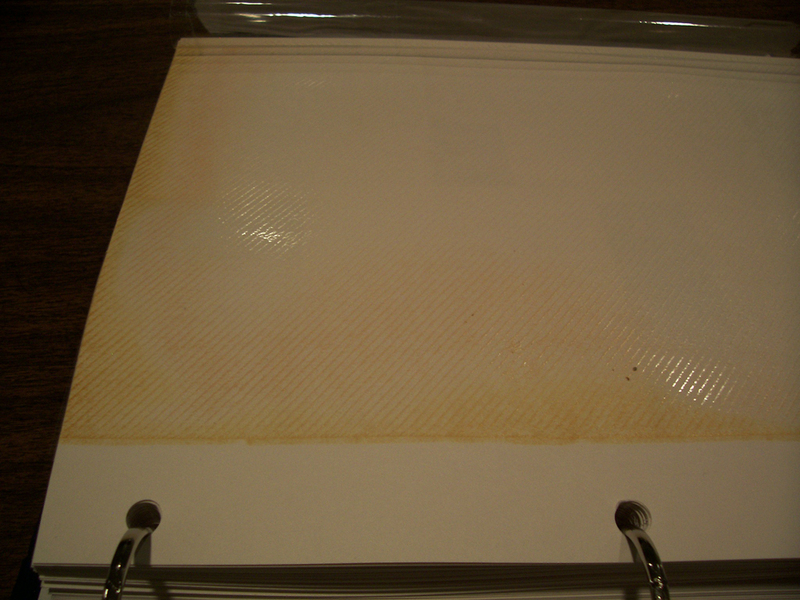 View of the yellowing adhesive after removal of the photos. I really have no idea why these albums are still on the market. Do yourself a favor — if you have any photos that you care about in magnetic albums (and let’s face it, if you put them in an album to begin with, then you care about them), take a few minutes to remove the photos from those albums as carefully as you can. Find an acid-free, photo-safe container in which to store them until you can find a better permanent environment to house them. Creative Memories, for which I am a consultant, has several solutions for this purpose. Please contact me if you’d like to learn more about their available options. For lack of a better name, I’m going to call my latest photo project the Album Rescue Project. 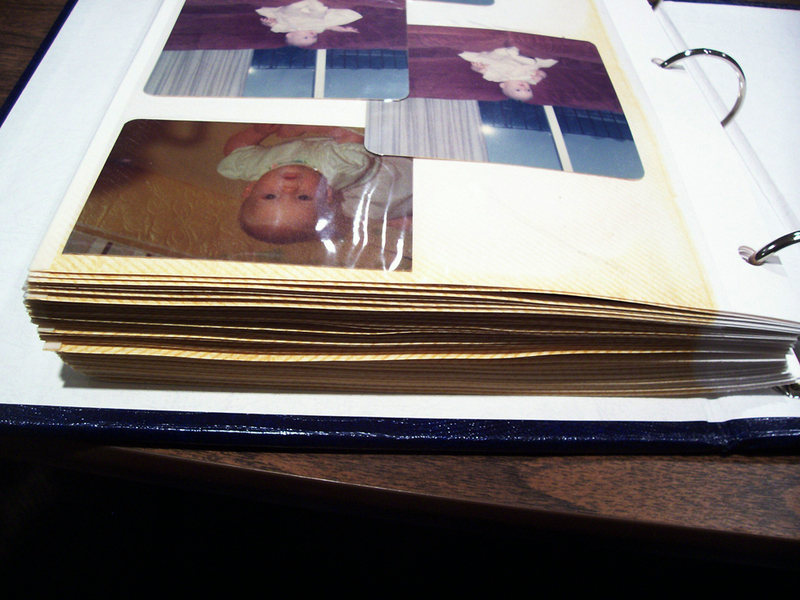 Today, I started removing the photos from the first album, scanning them and adding them to a new photo album. There’s not a lot to work with here, but there are a couple of clues. 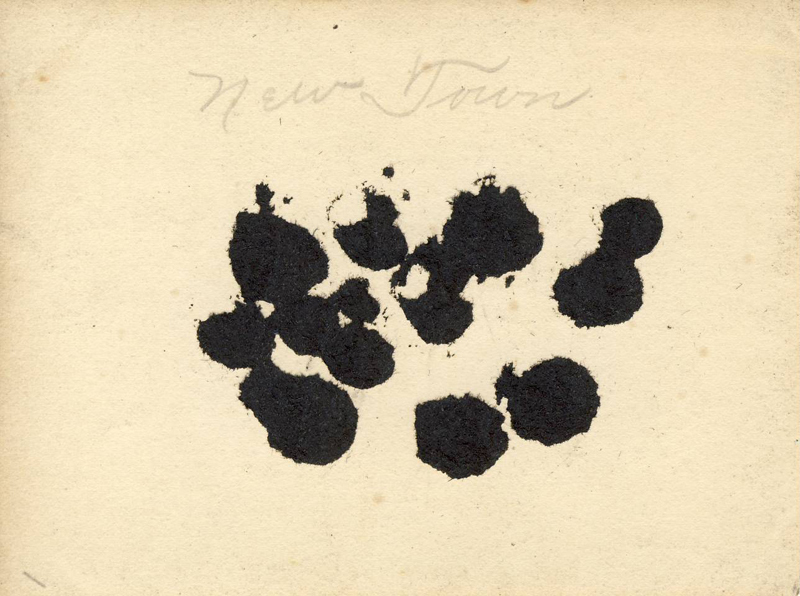 There is a notation on the back that says “New Town.” I think it’s too early to try and figure out which New Town (or Newtown or maybe even Newton). On the front is written “S-1915.” I’m going to assume that is the date, for now. I’m pretty sure the little girl in the picture makes an appearance in other photos in the album. This photo actually was pasted onto the inside of the front cover. I very carefully slid an Exact-o knife blade underneath to loosen it from the paper. It came off pretty easily, but I’m not sure the rest that are still glued in will be as cooperative. 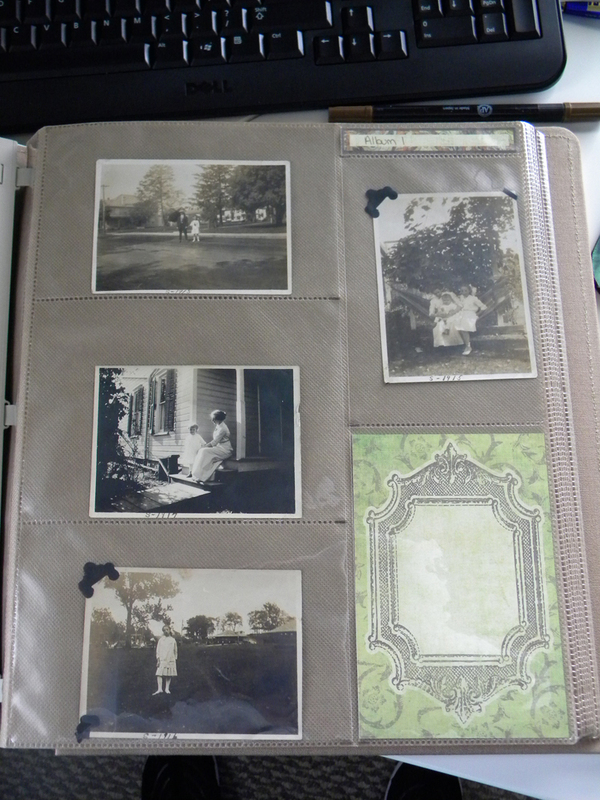 I’m moving the photos into an acid-free, photo-safe album from Creative Memories for safe keeping. The photos slide into pockets so that they can be removed later, if needed. 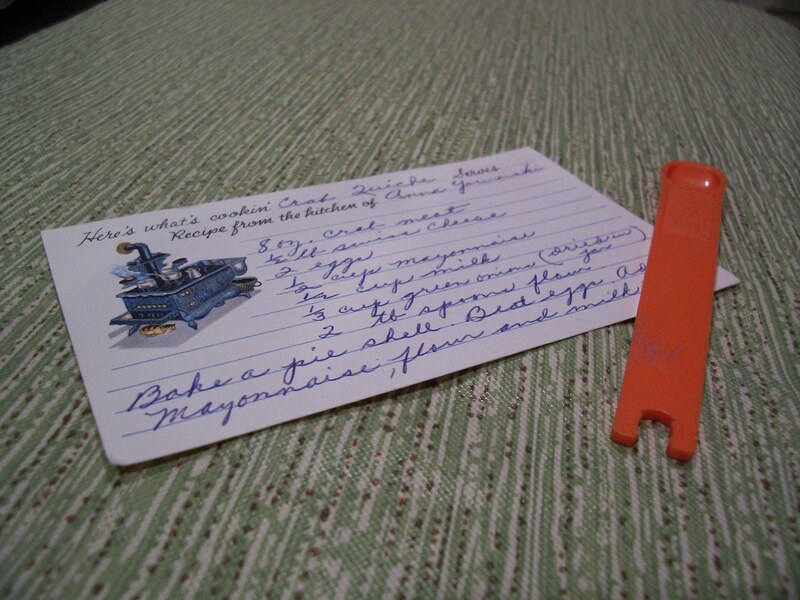 I’m adding paper into some of the pockets for journaling in the album, as I find out more about the photos. Stay tuned for more photos and investigating! I couldn’t wait to dig into my latest album project, but I had a bunch of Xmas-prep stuff to take care of last night. Now that that’s out of the way, I was able to take the first step in attending to the photos in the two albums I purchased yesterday. Because I intend to remove most, if not all, of the photos from the albums, I wanted a record of their order as I found them before I start removing them. So I photographed each page’s layout. 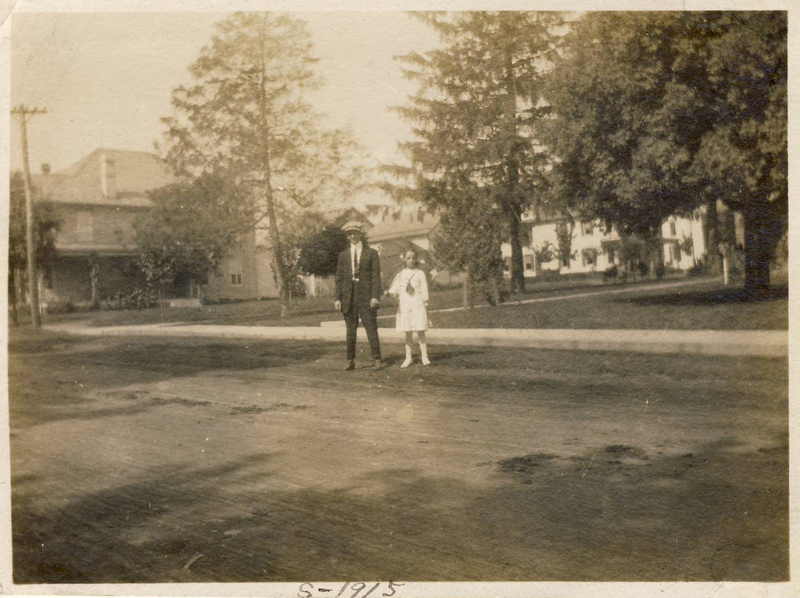 As I am researching the photos, the order may provide clues as to how the various photo subjects are related. 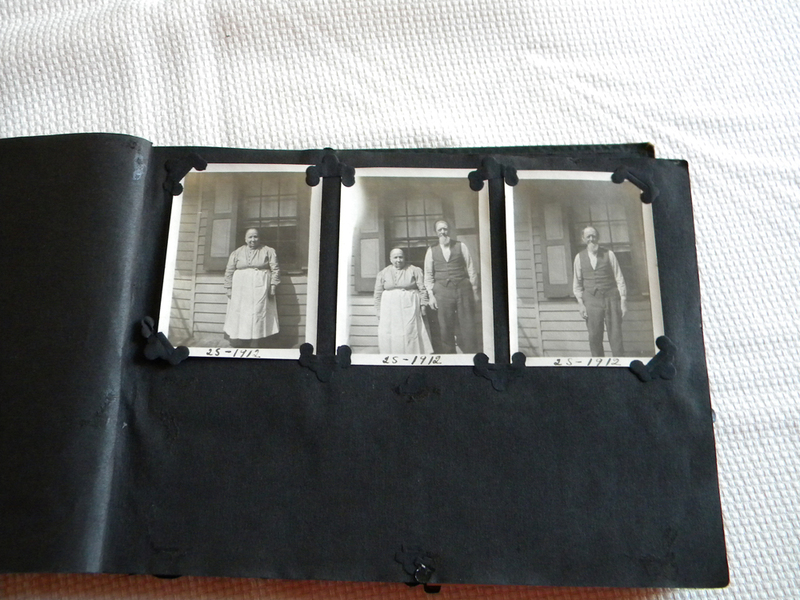 I think the album’s original owner’s intent in how he/she displayed the photos is important to consider/preserve. For instance, I think the way they arranged the photos below is clever. Next, I start by looking at the photos one by one. If they are already loose, I’ll scan them and start investigating any clues they reveal. If they are glued in, things will be trickier. I’ll photograph or scan them before considering how best to extract them. Once removed, I’ll scan them for the best possible digital copy. All of the photos will be put into a new album made of acid-free, photo safe materials. 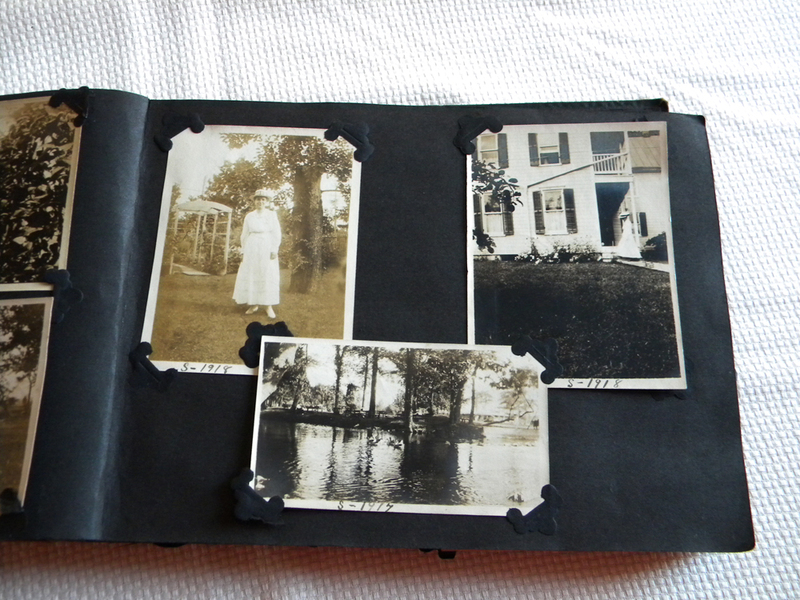 I’ve chosen a Creative Memories Picfolio album for this purpose. I’ll try to preserve the original order as best I can. Apparently, there’s a hullabaloo going on in the genealogy community about trying to make money as a genealoglist and as a genealogy blogger in particular. The thread starts here and has proliferated widely. I’ll admit I have had trouble keeping up with the entire discussion — I’ve caught snippets here and there on geneabloggers.com, Facebook and Twitter. Like many, I got started in genealogy by working on my own family research. Then, I went to library school and while there, learned that librarians could work for themselves doing research for hire. This appealed to me. I enjoy researching people and old things. I saw the light. I could do genealogy research for others and get paid. What could be better than doing something you love and earning money for the privilege? I opened Bayside Research Services in the summer of ’09 and started blogging shortly after that. I’d never blogged before, but I knew it would be a good marketing tool. It has turned out to be so much more. I love the Geneabloggers community and hate to hear there’s strife right now. For what it’s worth, I’m not currently trying to make money off this blog — I don’t host ads or affiliate links. This isn’t because I don’t want to. I just haven’t had the time to devote to this yet. Also, I actually have two blogs. This one is more of a personal blog where I discuss everything from my personal genealogy projects to new technologies I’ve discovered. My company web site also is a blog and there I post sale information for the photo solutions company that I work with (Creative Memories) and I post updates about my research projects. That is where I actually try to make money — by connecting folks to my CM web site and by featuring my investigations and skills so that people will consider hiring me. As others have mentioned in their posts on this subject, it is difficult to find a way to live solely off of genealogy research. I have yet to find the magic formula that will work for me and so I haven’t given up the “day-job.” That pays the bills and provides health insurance and other benefits. I love my day-job too, but if I had my druthers I would prefer to spend my days in archives, brick-and-mortar or online, researching days gone by. It may yet happen. As to the kerfuffle currently going on, I’m not quite sure what the trouble is. There certainly is room for hobbyists and paid genealogy researchers alike. I know we have a lot to learn from each other and we certainly can help each other out. Many hobbyists must rely on paid genealogy researchers to help them bust through brick walls or access far-flung records. Paid researchers enjoy networking with hobbyists at national conferences and local historical society meetings. Let’s work together to continue to build our community. I’ve also seen at least one comment from a hobbyist considering “going pro.” It’s a scary leap, starting a business, with accounting and other tasks a business owner must undertake. That’s where you can learn from your fellow genealogists. Also, I’ve said it before and I’ll say it again, all genealogists are information professionals and if you are considering opening your own business, please look into the Association for Independent Information Professionals. There you will find not only several genealogists who are members, but professional accountants, marketers, business mavens and other types of researchers who are there to help. I can’t emphasize enough the value of this organization. I also recommend picking up a copy of Mary Ellen Bates’ book, Building and Running a Successful Research Business: A Guide for the Independent Information Professional, Second Edition. It’s a step-by-step guide for setting up everything from your stationery to an LLC. Someone recently found my blog after searching for the phrase “preserving recipes through scrapbooking.” This is something I love to do — last year, my Christmas present to my sister was a book I produced by scanning in recipes hand-written by our mother and grandmother. I put them all together using digital scrapbooking software. (Let me know if you want to see the result!). If this is a project that is of interest to you, check out these pre-designed pages just for recipes. Let me know if you need assistance putting it all together!